There is arguably no more important role that a brand can play than helping customers manage their money. As the breadth and complexity of financial products and services have multiplied, so too has the customer journey with the proliferation of digital interactions across mobile, web and social. Amidst this digital clutter, people are choosing to engage with brands that are perceived as relevant and engaging. Data-driven messaging enables financial brands to build these relationships by personalizing each interaction and to tailor messaging based on the customer’s unique needs in the moment. You have a story to tell customers who are not familiar with your brand, and video is the best way to tell it. Dynamic video allows you to personalize your story to the specific needs and traits of each target audience. Each customer interaction—whether in-app, on the web, or in social—is driven by an intent. Leverage everything you know about the customer to personalize your messaging in each moment of intent. Assemble complete customer journey views from first interaction to conversion. Algorithmic multi-touch attribution models and machine learning algorithms enable you to optimize creative performance and CPA. Flashtalking partners with leading financial services advertisers across the globe. Get inspired by these past innovative data-driven strategies! 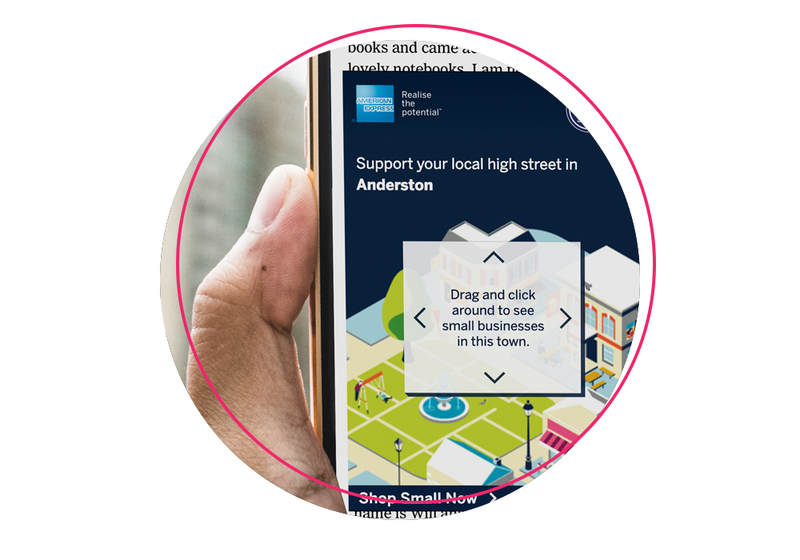 Amex engages viewers with geo proximity targeting to display the ten nearest shops participating in Shop Small. Visa targets upcoming travelers with dynamic video and messaging personalized to their vacation destination.